Can I email my students from inside alta? Yes! You can quickly email your students from multiple locations inside alta. You can email your students from the Students tab. Navigate there, and select one or multiple students you’d like to message. Click the envelope icon at the top right of the list to craft your email. You can also message your students from the Coursework tab. 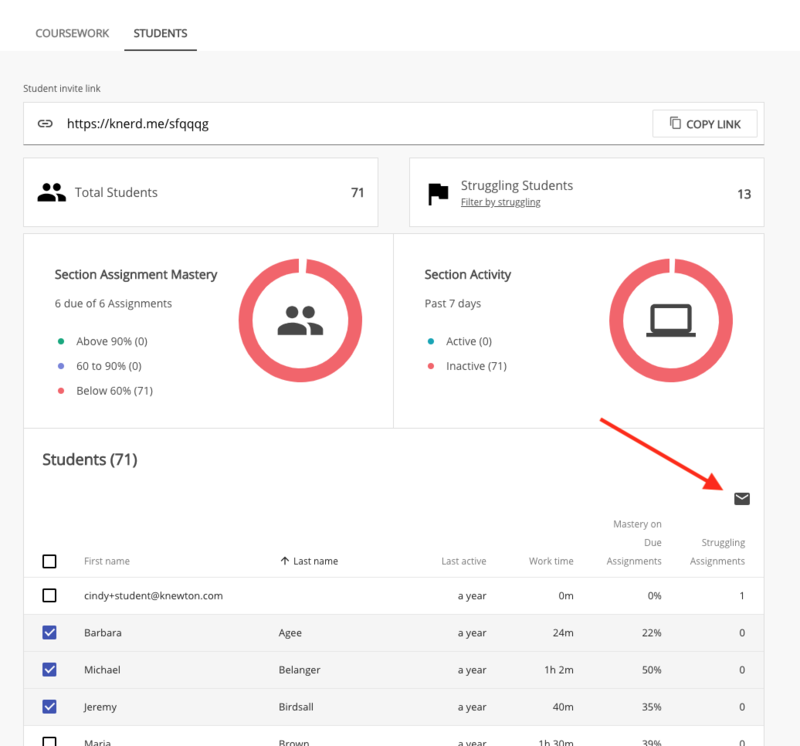 Select “Assignment Mastery,” “Quiz Score,” or “Test Score” based on which item you’d like to view students’ work for. Click the title of any listed item to view a list of your students and their status. Then, click the checkbox next to one or multiple students’ names and click the envelope icon in the top right of the list to craft your email.